Do Cholesterol-Cutting Statins Raise Your Risk of Diabetes? A recent article in Bloomberg News reported on a study’s findings that cholesterol-cutting statins may raise the risk of developing diabetes by 46 percent. As a consumer, I might view the 46 percent statistic scary enough to stop taking statins. But as a physician, the premise requires clarification – is that 46 percent a relative or absolute risk? We take risks every day. We cross the street, we drive a car, and we fly on planes. We take these risks because we believe the benefits outweigh the absolute risks. Doctors prescribe statins to lower cholesterol and help reduce the risk of cardiovascular disease. But there is a big difference between the absolute risk and relative risk of patients who are taking statin drugs developing diabetes. Putting things into perspective, for those who have a high risk of developing cardiovascular disease – i.e. a history of coronary atherosclerosis, peripheral vascular disease, kidney failure or stroke – the relative risk of developing diabetes is much lower than the risk of developing cardiovascular disease. While the article does state the benefits of statin treatment typically outweigh any potential harmful side effects, there’s a much stronger message behind the Bloomberg report. As a society, we tend to rely on numbers, particularly on lab tests. 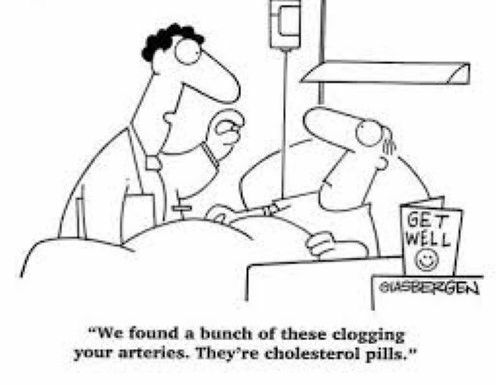 I’m not a believer in simply giving statins to patients to lower their bad cholesterol numbers unless there is evidence their cholesterol is causing potential harmful plaque build-up. Rather than prescribing a drug to lower cholesterol, physicians would do better to perform a complete risk assessment on each patient, taking into account family history of heart disease and diabetes, stress test, etc. If all these factors are “clear” and presented to the patient, it may well be that he or she doesn’t need the statin. So instead of prescribing statins to treat a number, let’s focus on spending time performing a completed assessment before writing an educated prescription to better health.